I’ve spent a number of holidays on the beaches of North Cornwall, it’s a beautiful place with amazing scenery. There seems to be something in our nature that draws many of us to see the sand on a beach as a huge canvas waiting for us to draw, build, and form on. 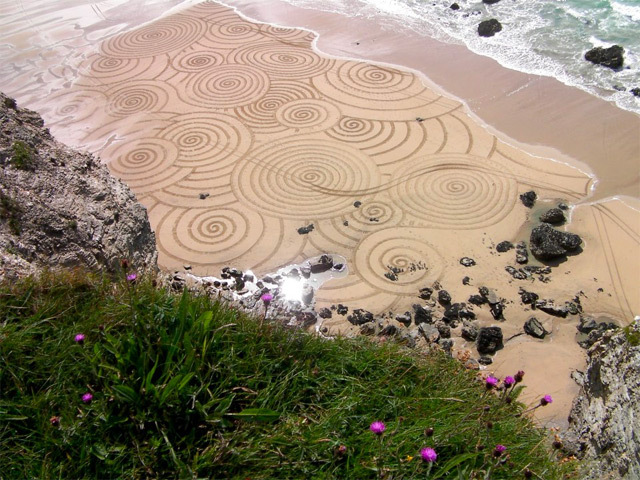 Tony Plant takes sand-as-canvas to a level much higher than anything I’ve ever achieved. It’s amazing what you can achieve with a simple rake and being below the tide line it’s all temporary. There’s another video of Tony at work in this article in The Guardian.